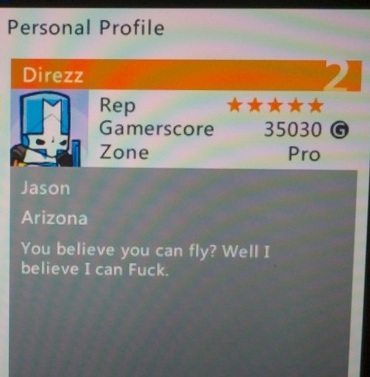 Direzz gets right to it. 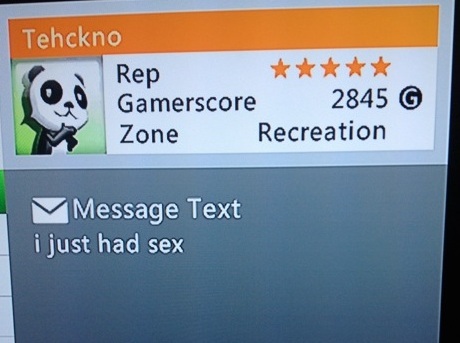 Which actually syncs up well with his current bio. 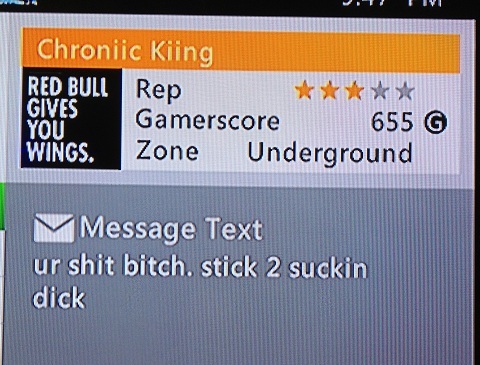 Our first XBL phone submission! 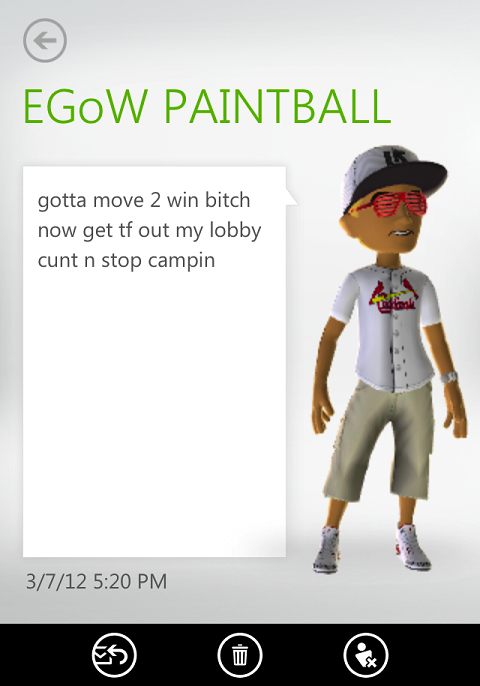 I suppose our submitter was indeed on the move when they got this message from EGoW PAINTBALL. Tehckno has an important announcement to make. Posted in: Crudely Creative, Wait, what? 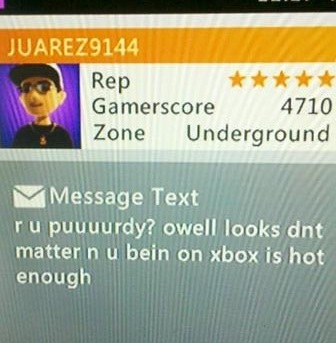 Chroniic Kiing helpfully offers an alternative leisurely pursuit to our submitter. Posted in: Jeepers Creepers, Wait, what?